One of the reasons online users should consider Wondershare PDFelement 6 Professional is so that they can remove the complicated process that involves editing PDF files. 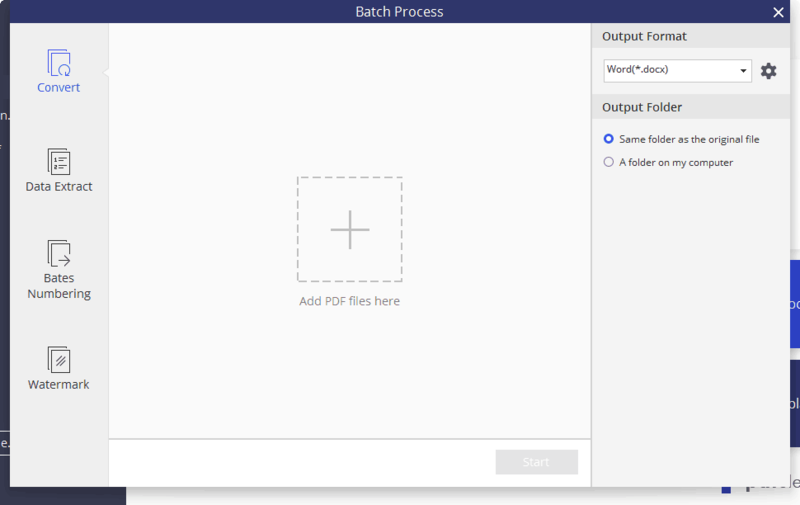 The workflow is completely transformed into something that will allow users to simply create their very own PDF forms that otherwise would take hours of frustration to establish and create. There are a number of different things that buyers should consider before purchasing Wondershare PDFelement 6 Professional. One of the main things to consider is how users are planning to utilize the benefits of the software. The potential is greatest for users that are constantly required to create complex PDF form layouts for work related purposes. Perhaps the greatest innovation related to this software is the fact that no coding knowledge is required when creating new PDF layouts. Users should think about how they would plan to use the framework before committing to an official purchase of the Wondershare PDFelement 6 Professional software. 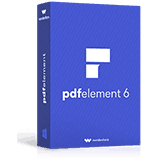 The Wondershare PDFelement 6 Professional software is an innovative option when it comes to advanced PDF formatting and editing. The software provides users an advanced framework that is designed to allow for easy form creation, text editing, and create an efficient workflow when editing PDF forms and documents. The software is focused towards users who constantly create organizational forms such as schedules, checklists, databases, and other similar forms that require advanced PDF formatting. The software creates an efficient workflow that allows for quick action when handling work related situations. Perhaps one of the nicest features that is included with the software is the opportunity for seamless text editing across all types of PDF forms and documents. The workflow is efficient and seamless which makes the text editing component extremely simple to master when utilizing the software. Customized PDF documents and values can be easily transferred and extracted from the software into a comma separated values file (CSV) and opened within an Excel spreadsheet in just a few moments. 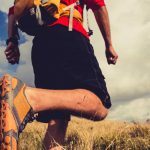 The ability to integrate watermarks, images, backgrounds, and headers into custom PDF files is now as easy as clicking a button. The PDFelement 6 Pro makes it easier than ever to add a little personal touch to any type of PDF file or document. This custom feature is just another impressive addition the overall workflow of the software. The Professional edition allows users to securely sign their PDF forms and documents with ease. Simply type or sign names in a matter of seconds to complete the process. This could be one of the most overlooked features that fits nicely into the software workflow. This is attached to the impressive text editor that aligns with interests of customers. The process to add annotations and comments to PDF forms is as simple as could be imagined. Users can type their annotations and comments and attach them to their PDF documents in a matter of seconds with the click of a button. For users that are involved with different file types, the ability exists to transfer between file types by file converting to and from the PDF file format. This is an impressive feature that aligns nicely along side the long list of impressive features that this software has integrated within its framework. 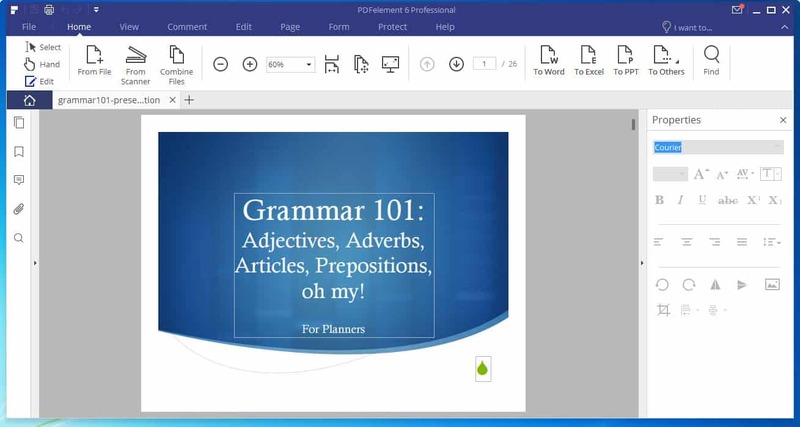 The main component with the Wondershare PDFelement 6 Professional software involved the complex editing of PDF forms and documents which can easily be accomplished when purchasing the Professional Edition of the software. Create forms, lists, documents, schedules, and other database templates in a matter of seconds with the impressive feature collection that is included with the product. Create in-depth documents and forms for work related purposes in order to create an organized work environment for a number of different possibilities. The Nuance Power PDF Standard is a powerful alternative product when taking a look at some of their core features that are integrated with their workflow. The price is slightly more expensive at $129.99, while still only offering similar features to what is found within the Wondershare PDFelement 6 Professional edition. This product is very similar when comparing features directly across, however it is hard to justify a purchase as the price could be considered overpriced when comparing to other similar PDF editing and creation software. The Movavi PDF Editor is another PDF editing alternative at a much cheaper price tag, however this product lacks some of the sophistication that the Wondershare PDFelement 6 Professional software has within its workflow. Some users looking for a simpler approach may find a benefit to saving on the price tag, however its hard to imagine that the Movavi PDF Editor could compete with some of the in-depth features that are integrated with the Wondershare PDFelement software. 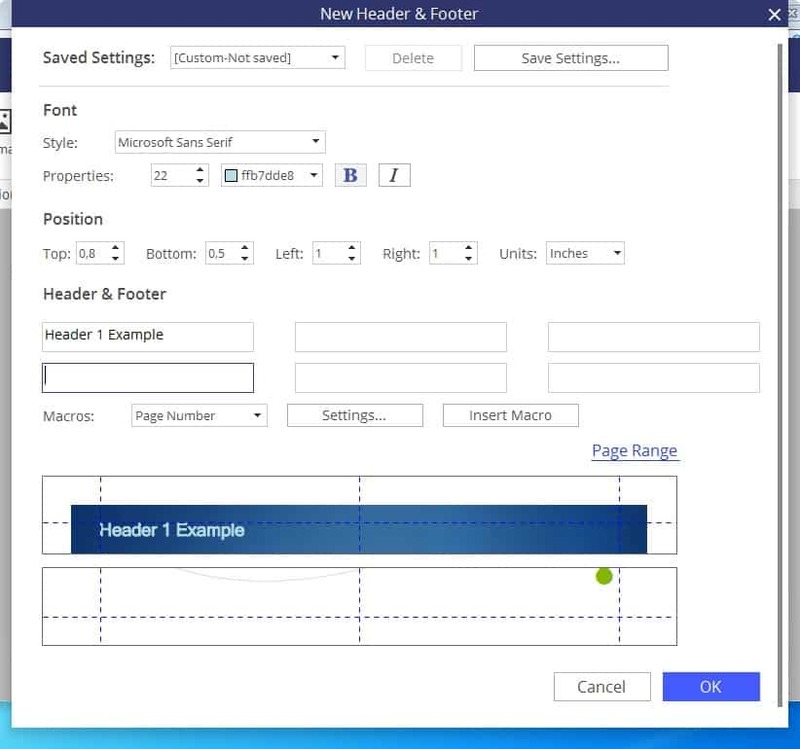 The Movavi editor includes a PDF document viewer, file conversion, template library, and simple export features. Even though this software may lack the advanced capabilities of other similar alternatives, its hard to argue with its current price tag at just $19.99 per year. The ​Adobe Acrobat Pro DC is among the highest recognized brands on the market. This software retails at $14.99 per month. This alternative software provides an impressive list of features similar to the features provided within the Wondershare PDFelement 6 Professional software. PDF Scanning, File Comparison, File Conversion, and Advanced PDF Editing are all among the impressive features within Adobe Acrobat Pro Dc. After taking a look at a number of different topics related to PDF editing, there are several reasons to consider investing in the Wondershare PDFelement 6 Professional PDF editing software. One of the most important components involved with PDF editing is the workflow. 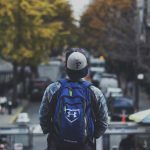 The efficiency involved within the editing process should take a priority with a majority of customers. The process can be simplified through the advanced and innovative work space that the software provides to users. Advanced PDF forms and documents can be created within minutes for organizational or work purposes. 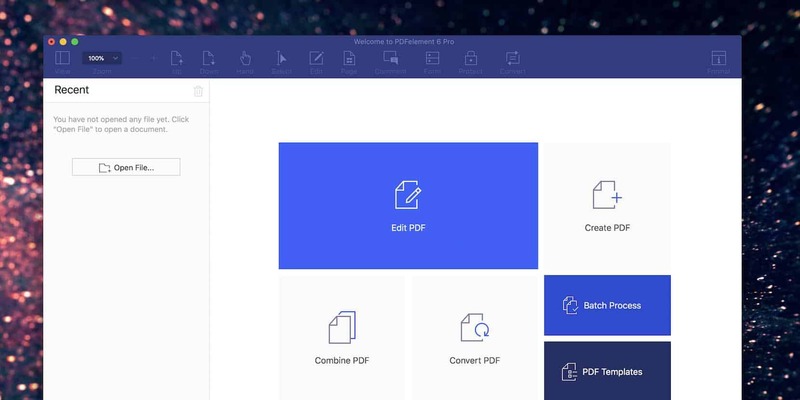 The impressive list of features that is included within the workflow is one of the reasons that Wondershare PDFelement 6 Professional is a great solution to PDF editing needs. Potential buyers should think about their intentions when it comes to their PDF editing needs. This product provides a number of impressive features, including Watermarks, Document Editing, File Conversion, and Exporting Data to Excel in Seconds. For most people, these features will cover their needs, although some users may require alternative features to fit their specific requirements. In most cases, Wondershare PDFelement 6 Professional can handle the majority of cases for users looking to create advanced PDF documents and forms. Customer feedback for the Wondershare PDFelement 6 Professional PDF editing software is extremely positive especially for the value. Customers have expressed their overwhelming positive expression towards the software as they have established themselves in the software's work space. In most cases, users were extremely impressed by the efficiency and simplicity involved with working with the Wondershare PDFelement 6 Professional Edition. For users that are convinced that the Wondershare PDFelement 6 Professional is right for them, they can proceed to make their purchase (BUY HERE) to gain access to the impressive list of features that are integrated within the software. PDF editing has never been so simple and easy, with a framework that makes the entire process of editing as simple as clicking a few buttons. Some of the most impressive PDF works have been created within the PDFelement 6 Professional. Users can transform their PDF editing abilities by purchasing the software for $89.95.